How was your weekend? We spent ours binge watching Bates Motel because we are seriously SO hooked on it. Even though this show is sooooo disturbing, we can’t seem to stop watching it, ha! Do you have any TV shows that you are currently hooked on? We are always looking for new TV shows to watch so send recommendations our way. 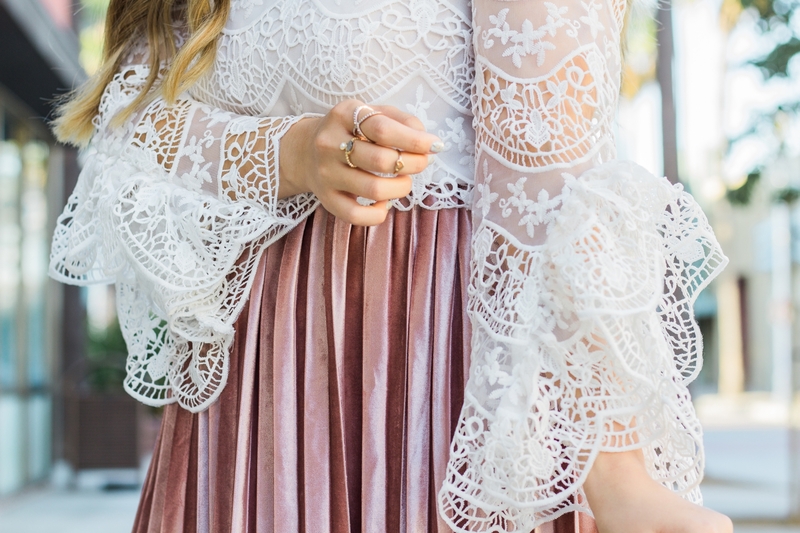 I’ve been seriously SO obsessed with this gorgeous embroidered crochet lace overlay top. 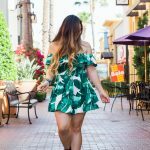 I’ve been paring it with so many different outfits and it is seriously such a showstopper! I always get compliments on this embroidered crochet lace overlay top, too. 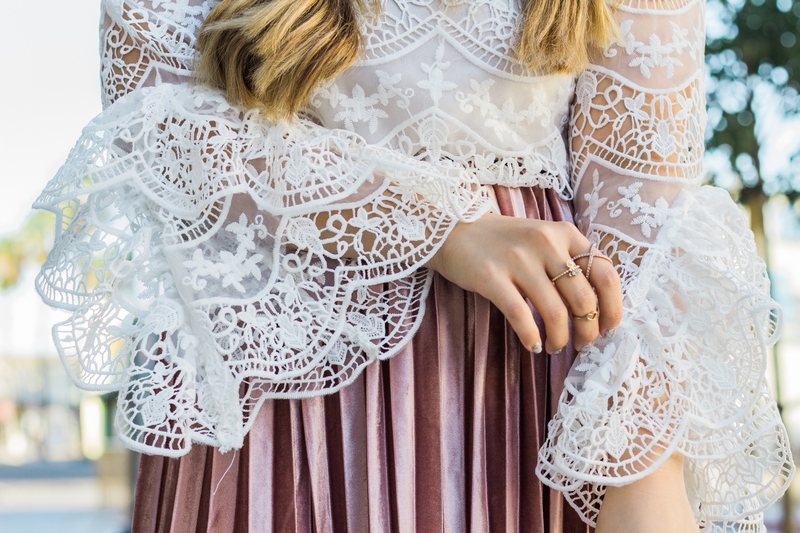 This beauty features the most gorgeous embroidered crochet lace overlay that I’ve ever laid my eyes on! 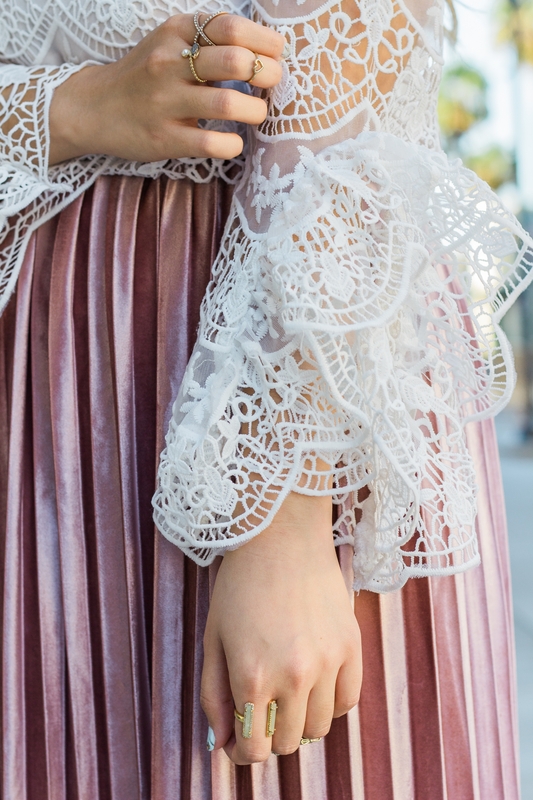 If you follow me for a while now, then you know that I’m a huuuuuge sucker for all things lace! But this embroidered crochet lace overlay top cranks things up a notch with the intricate lace detailing throughout. I also love love love the ruffle collar trip on this embroidered crochet lace overlay top! It’s seriously TO DIE FOR! And don’t get me started on the extravagant sleeves on this baby! 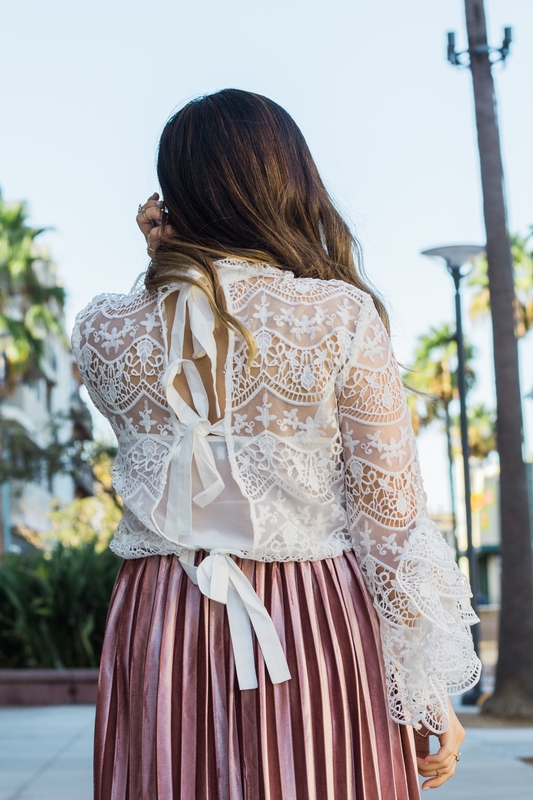 But I think my favorite part about this embroidered crochet lace overlay top has got to be the stunning back tie closures. 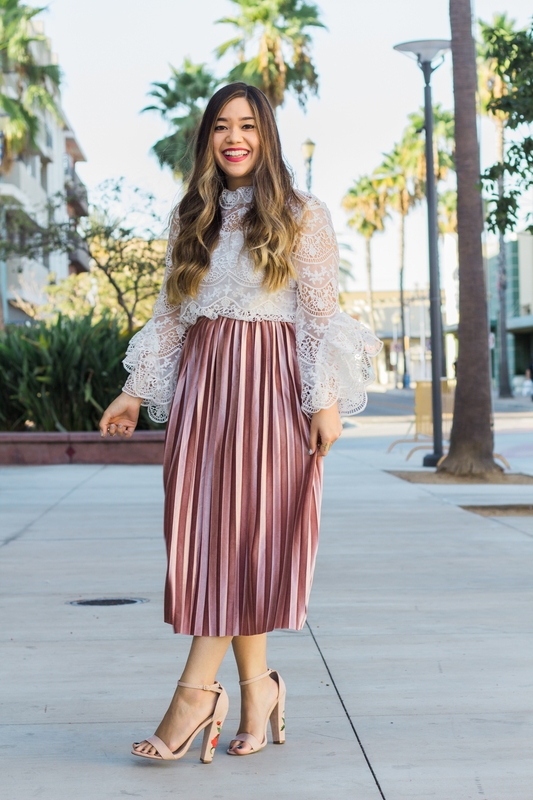 I’m a HUGE bow lover so obviously this embroidered crochet lace overlay top gave me alllllll the heart eyes in the world! This embroidered crochet lace overlay top comes with the white cami I wore underneath and it’s $84 (and SO worth it!). For reference, I’m wearing a medium. 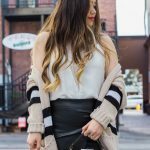 I also link several other white lace tops that I’ve been crushing on down below.